Commissioned portraits of cherished pets make sentimental gifts for any occasion. 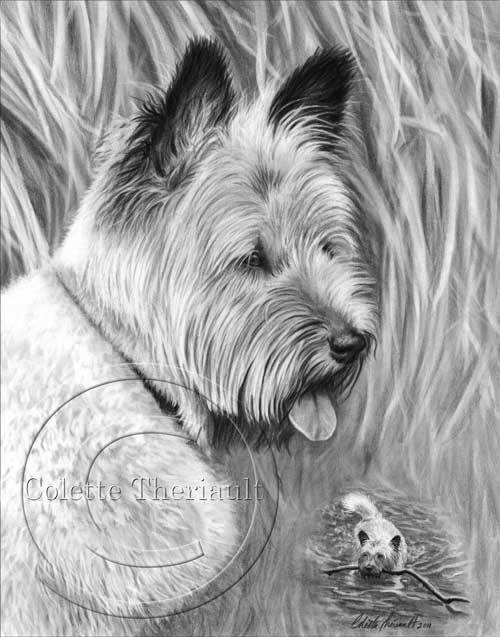 This head/shoulder pencil portrait with small vignette of the dog fetching a stick in the water was commissioned as a birthday gift. The artwork is now hanging in it's new home in VA, USA.